At the General Course Welcome Presentation, our Dean Mark enthusiastically advertised for the 200+ student societies at LSE. 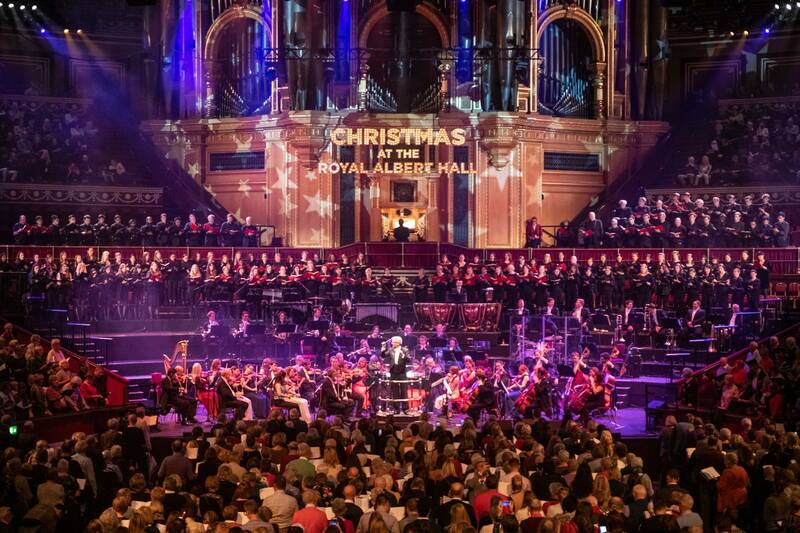 After a bit of shopping, I decided to join the choir, which later gave me my first opportunity ever to perform in a real concert hall —- the famous Royal Albert Hall (RAH). The choir consists of a diverse group of people, including undergrads, masters students, alumni and staff. Throughout the semester, we had rehearsals every Tuesday night for one and a half hours long, during which we sang Handel’s Messiah and a couple of Christmas carols. During the last week of Michaelmas term, we performed three times at the Royal Albert Hall, St Clement Dane and St Mary-le-Strand. The choir has been a great place for me to meet other people and relax after two math lectures on Tuesday afternoons. Among the three concerts, the one at RAH was the most memorable to me, partly because it was our first concert, and partly because performing at RAH is such a once-in-a-lifetime experience to have. The concert was a charity concert for Bloodwise to raise donations. The rehearsal at RAH started at 2pm that afternoon. Everyone was given a performer’s pass and a hand band to indicate we were singing at the concert that evening. 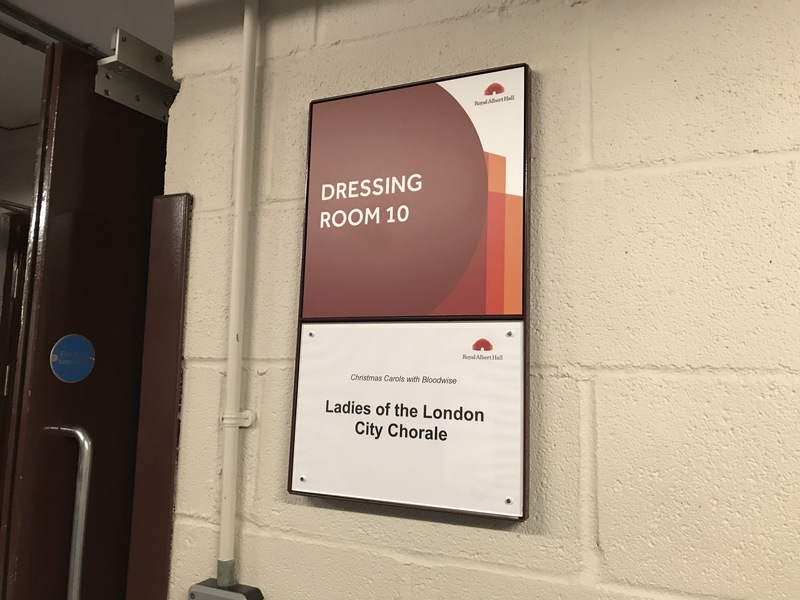 Following the instruction of the guard who checked me in, I zigzagged through the stairs and found a room labelled with “Dressing Room 10: Ladies of the London City Chorale”. There were clearly two groups of ladies in the room: the London Docklands Singers, who are mostly senior singers sitting in groups, showing each other the pictures of their grandchildren and chatting about their Christmas plans, and my fellow members of the LSE choir. While some of us were rushing into the room (me! ), changing into black dresses, putting on makeup, the others were, in the middle of this chaos, curled up on the edge of the bench and writing papers that were due that Friday. At roughly 3pm, Andrew, our conductor led us to the stage. 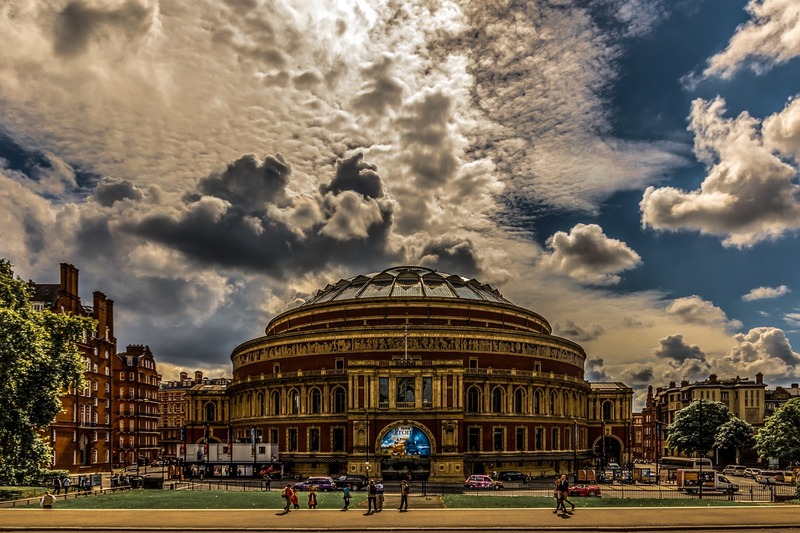 Although I had seen the grand architecture of the Royal Albert Hall from the outside, I was still amazed by the size and inner decoration of the concert hall. It was almost like standing in the middle of a Quidditch field, with seats circling us going right up high into the ceiling. Christmas lights were shining in the purple-ish dim lights, while the dazzling stage light occasionally shone on the faces of the members of the orchestra as well as the choir. The rehearsal finished at approximately 5pm. Andrew announced with his usual mild and warm smile that we could now head out to grab food and then we would meet in the men’s dressing room before the concert starts to have a vocal warmup. “So—-men, please, be properly dressed at 6:45pm”, concluded Andrew and everyone broke out into laughter. The coldness of that night was as memorable as the excitement I had for the upcoming performance. After a 15 min walk from the nearest restaurant street, I was glad to be back in the warm concert hall. However, the empty, quiet hall had by then been packed with people hugging, laughing and chatting with others. Over 5000 seats (according to Wikipedia), were all occupied. During the concert, the crowds were singing along with us. It was the audiences’ beaming faces at the end of the concert that officially lit up my Christmas spirit of 2018 and gave me a strong sense of fulfillment. Needless to say, I am continuing with the choir for the Lent term. Every Tuesday, I am still making new friends and having a wonderful time. Occasionally, I am late for the rehearsal. When rushing out of the elevator, I hear the voices and the sound of piano drifting in the hallway. Some part of my mind immediately lights up, telling me, this is where I belong. Bad Behavior has blocked 228 access attempts in the last 7 days.